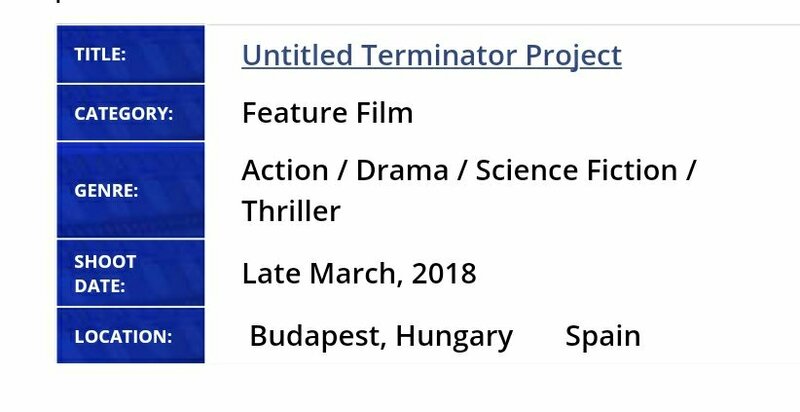 Yes Terminator fans, cameras will roll on the new ‘Terminator’ film this March on location in Budapest, Hungary and in Spain… acording to Yahoo Movies via MyEntertainmentWorld. No word yet on other additions to the cast, but they will likely be forthcoming now that a production date and locations have been set. Prepare for “Terminator 6” to infiltrate theaters this July, 26th 2019! Thanks to fellow Army member Pete for the tip! Previous PostA fan theory why ROBERT PATRICK will be announced for “TERMINATOR 6”!Next PostArnold doesn’t “give a sh*t” if they hate him calling the next film ‘TERMINATOR 6’! ARRRRGH JULY 2019 IS TOO FAR AWAY ! Who will be John Connor?